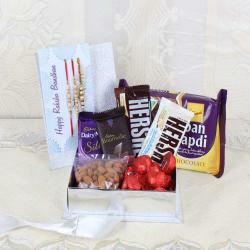 "Give your Raksha Bandhan celebration a masala twist with this amazing pack which has a pack of masala cashew nut, salted cashew nuts, plain cashew nuts along with a Cadbury Dairy milk silk chocolate bar and pair of Rakhis and a greeting card. A Greeting card to express the words of love and blessing which are yet to be spoken from years will be expressed beautifully. 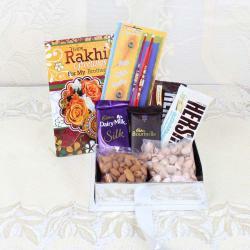 Pack of 3 special Rakhis with OM dial and Rudraksh beads tied on a Rakhi special card. 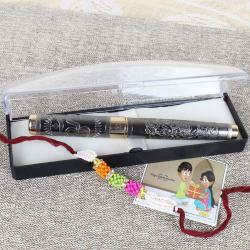 This combo is perfect to deliver the utmost love and care you have for your loved ones and will express it magically. 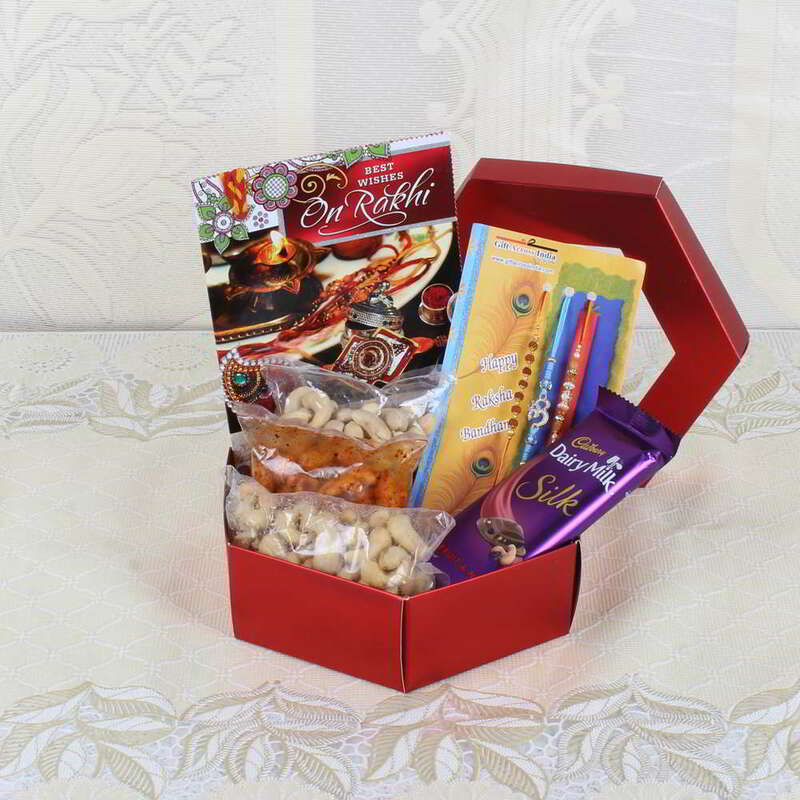 Product Consists: Gift box Includes Plain Cashew Nut (Weight 100 Gms), Salted Cashew Nut (Weight 100 Gms), Masala Cashew Nut (Weight 100 Gms), Cadbury Dairy Milk Silk Chocolate Bar (Weight : 55 Gms) along with Pair of Rakhis and Rakhi Greeting Card "